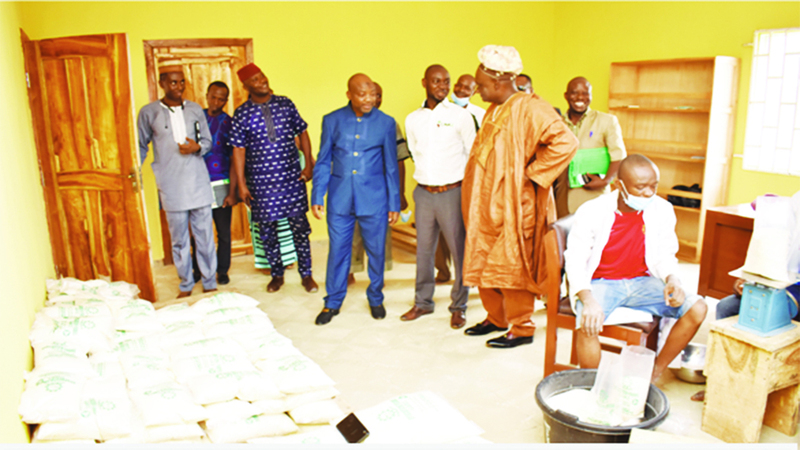 The Oyo State College of Agriculture and Technology (OYSCATECH), Igboora, recently commissioned some projects facilitated by the Governing Council Chairman, through the support of Cassava Adding Value for Africa (CAVA II). Some of the projects include a newly constructed Home and Rural Economics Department building; official building designated for the Home and Rural Economics Programme; and a multi-million naira Garri Processing Factory established for the production of Garri in commercial quantities for staff, students, host communities and the general public. The Rector, OYSCATECH, Professor Gbemiga Adewale said the building comprises three Classrooms, a Crèche, 13 Offices, Food Laboratory with a Store, a Sewing Laboratory, a Typing Pool with a Store, two Laundries with a Store, two Open Courtyard, a Laboratory Store and eight Toilets. According to him, the Garri Processing Factory is aimed at ensuring that clients, both domestic and international get processed Garri of the finest quality, adding that the factory will process for sale white (Ijebu and normal) and yellow Garri (Made from Vitamin ‘A’). Adewale further disclosed that the college is set to take advantage of its experience in various Cassava varieties on its CAVA II demonstration plots. In his remarks, Chairman of Governorship Council, Professor Lateef Sanni said OYSCATECH is one of the CAVA II Service Providers, which makes them stand as beneficiary of the project. He revealed that OYSCATECH under his leadership has been able to transform from being a Monotechnic to a Polytechnic and has been able to build more lecture rooms, among others. 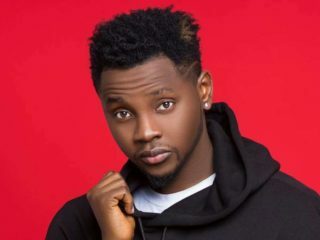 Professor Sanni commended members of the Governing Council, the Oyo State Government, the Federal University of Agriculture, Abeokuta (FUNAAB) and CAVA II for “mid-wifing” the projects. Also on ground at Igbo-ora, Oyo State to inspect the projects, hours before commissioning was the Project Manager, CAVA II, Professor Kolawole Adebayo.